Send Money to the Philippines there are lots of ways which do you use? This is how we send money. When you are in love, the first thing that you want to do is ensure that those who are important in your life are well taken care of. No doubt, this will involve you sending money to your future bride and your future in laws to help with there everyday expenses. For those who are new to this, this article will highlight the various ways that you can use to send money to the Philippines quickly, safely and without costing you an arm and a leg. This is one of the most frequently used methods to send money to the Philippines. To my knowledge, this is the fastest way to transfer money overseas. Funds are transferred almost immediately. The procedure to transfer money through western union is quite straightforward. You can do this in person at one of the numerous local branches or online. Once you have remitted the funds to the person in the Philippines, you will be given a ‘Transfer Code’ number or ‘TPN’. The receiver of the funds needs this code in order to collect the money that you sent. Thus, you have to let the receiver of the funds know what the TPN is. This is to ensure that only the intended party will get the money you have sent to the Philippines. This is the one thing that I like about western union. Another fact that I like about western union is that there many branches of western union in the Philippines. So it’s quite easy for the receiver of the funds to pick the money up. The only con about Western Union is that it is quite costly comparatively to other methods of remitting money to the Philippines. This is an alternative to Western Union. The benefits of sending money through MoneyGram are similar to that of Western Union. The fees are also lower than those of Western Union. The only drawback about MoneyGram is that there are not nearly as many outlets in the Philippines as there are Western Union. In the provinces, there might not even be a branch that can service the local populace. Xoom is another novel way of sending money to the Philippines. Among all the above mentioned methods of wiring money, Xoom is the cheapest. Suppose you want to send $300 to the Philippines, it will cost you $10.99 through Western Union and $10 through MoneyGram. With Xoom, the fee will only come up to $7.50. Cash pickup can be at any BDO bank branches, Equitable PCI bank branches and Cebuana Lhuillier pawnshop branches in the Philippines. Though the saving might not seem much, just remember that a dollar can buy one (1) kilo of rice in the Philippines which can feed a family of five (5) for a day. Now Paypal is also an option that you can consider to send money to the Philippines. I find this is the cheapest and most efficient method of remitting funds to the Philippines. Paypal charges up to 3.9% plus $0.30 for receiving money into a Paypal account. However, it can also be free depending on how you send the money. For a list of fees payable to Paypal, you can check the schedule at this link: here. For the recipient to receive the funds, she must also have a Paypal account which is linked to a local bank in the Philippines. For any amount below 7,000 php, Paypal charges a 50 php transfer fee. Once, transferred, the funds will be ready for withdrawal after two (2) business days. Personally, I recommend that the recipient open an EON cyber account with the UnionBank Philippines. The bank charges 350php for a Visa debit card (Valid for 3 years) tied to this account and the account holder can withdraw the funds from any ATM machine linked to the Visa network or the local Megalink network. In terms of security, it is very safe and you have two (2) levels of security, one at the recipient’s Paypal account and the other level is at the EON cyber account. Both of these accounts are accessible online and you can use them to decide when and how much to remit to other party at the other end. Although initially it might be a little tedious to set up the Paypal and EON cyber account, but if you are going to remit funds regularly, I would say this is the cheapest and safest approach of doing it. 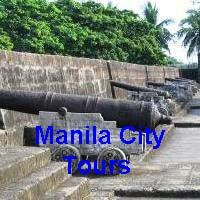 The above mentioned methods of remitting money are all personally tried and tested methods by Philippines Travel Guide. Although there are numerous other ways of sending money, we haven’t tried them all so we cannot say how reliable they are. But as we come across them, we will review them and try to attest to their reliability. If you would like to share your way of sending money to the Philippines, please do by completing the form below. What's Your Favourite Method of Sending Money to the Philippines? 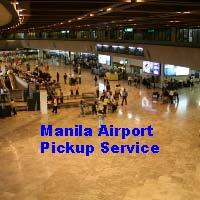 Have you discovered a cheap and reliable way of sending money to the Philippines? I'm sure I'm not the only one who constantly searches for alternative ways of sending money. Share it with your fellow travellers! We'd love to hear some of your great tips and stories, too.